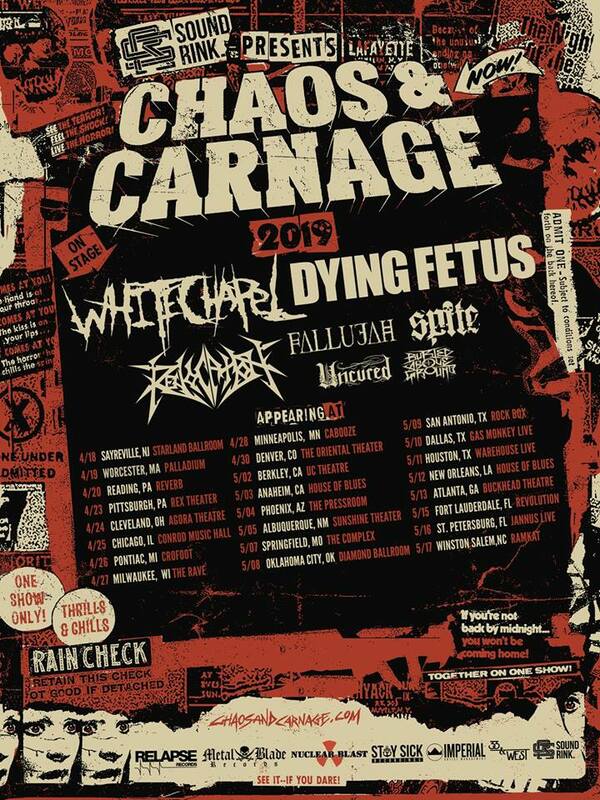 On March 29th, WHITECHAPEL will release their 7th full-length, 'The Valley', via Metal Blade Records. Mixed by David Castillo, mastered by Ted Jensen, and produced once again by Mark Lewis (Cannibal Corpse, The Black Dahlia Murder), 'The Valley' is a reference to the part of Hardin Valley (west of Knoxville, Tennessee) where vocalist Phil Bozeman grew up. Set against this backdrop, he approaches his subject matter unflinchingly, building upon everything that came before, making it clear that he has survived that which he was forced to endure and is not afraid to confront it. "Phil has been upfront in his lyrics in the past about hardships he endured in his life as a child, and I believe with this record we tried to paint a better picture of that," says guitarist Alex Wade, who alongside his bandmates, stands 100% behind everything their vocalist has to say. "I feel our music is Phil's release from his past, being able to get it out and speak about it, and hopefully anyone who hears it that may have gone through similar experiences can find some release in it as well." For a preview of 'The Valley', the new single 'Third Depth' can be heard below! 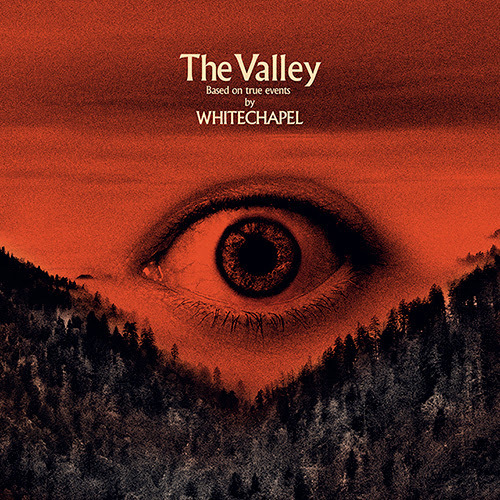 Anyone throwing 'The Valley' on for the first time will immediately recognize it as the work of WHITECHAPEL, yet as has been the case with each release, there is also evolution in play. "Sound-wise, it's all over the place," Bozeman states plainly. 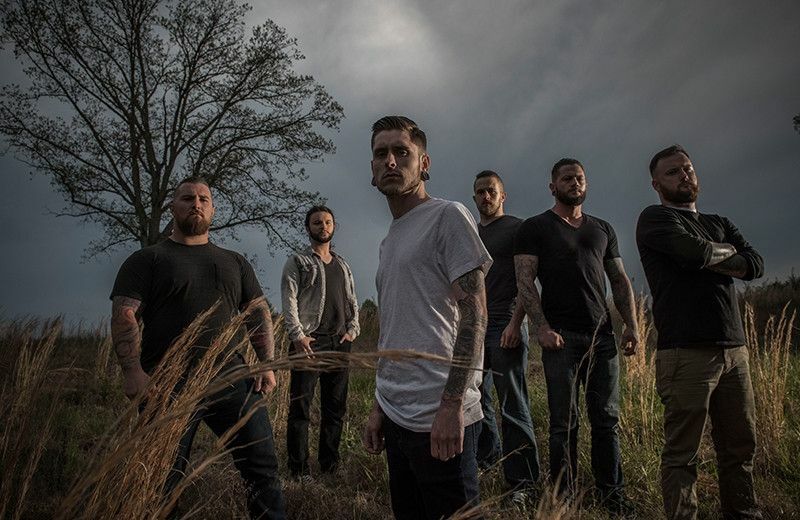 "There's aggression, and then you're hit with ominous and emotional guitar riffs. It's mean, but then transfers to soft and inviting. It's a whirlwind of emotions throughout." Stay tuned for more news about 'The Valley' coming soon!